Client Limited Liability Company "Polis Consulting"
Ulitsa Speshilova is the main street crossing the Kama Valley, north of Perm. It leads to the only urban bridge crossing the river Kama and is one of the main vehicle entrances to the centre of Perm. Every day, this road carries a high volume of commuter traffic. The construction of several new attractors, among which commercial centres, hospitals and an amusement park, is bound to increase significantly the volume of traffic on this road. Systematica was required to assess the future traffic on the road and the adjacent network, and propose solutions to improve traffic flow, mitigate congestion, improve the service of public transport, and improve safety. Systematica was also asked to assess the effect of building a second bridge over the river Kama. 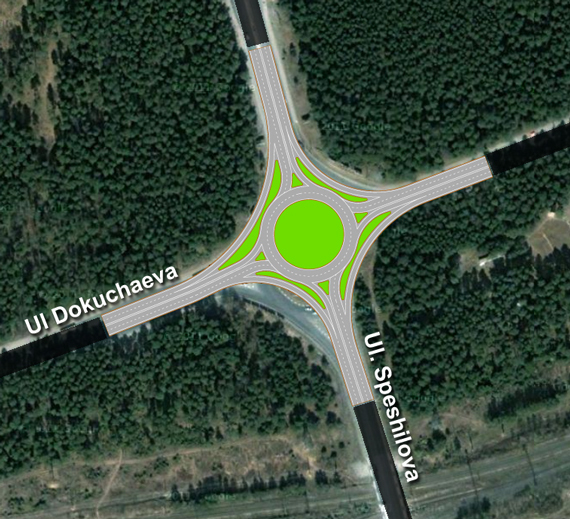 The analyses for the traffic impact study were carried out by means of a detailed microsimulation traffic model of Ulitsa Speshilova and the surrounding road network using the S-Paramics software. A large amount of traffic data was collected for both AM and PM peak periods; attraction and generation potentials were assessed for all the new developments and the forecasted traffic was added to the surveyed traffic. The model showed the evolution of traffic in time and the critical conditions and sections. 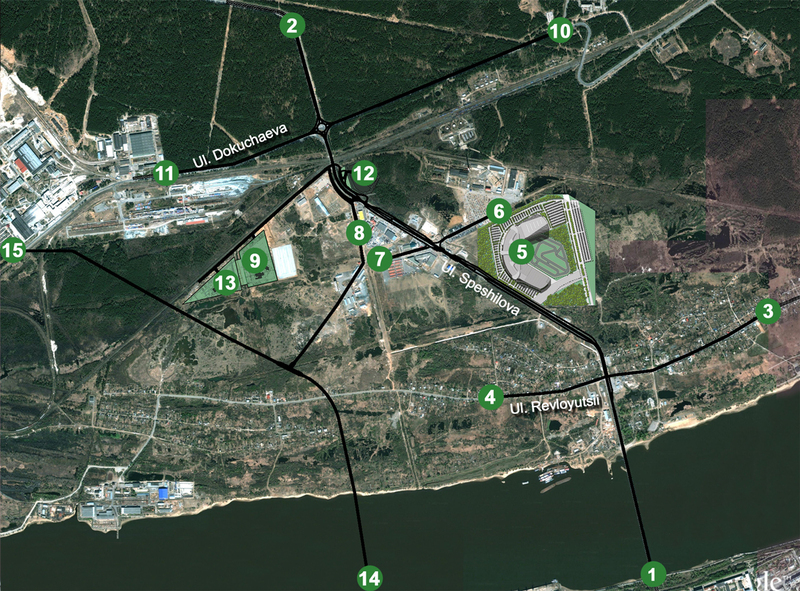 Several alternative solutions were suggested which included construction of “frontage roads”, reconstruction of major intersections, the introduction of a modern roundabout, alternative connections of the new bridge with the existing road network. Systematica elaborates a set of measure aimed at improving safety and traffic flow, through mitigating congestion and enhancing the level of service of public transport.